Previously fashion was mainly dominated by famous fashion houses. Nowadays it is the other way around. Current fashion is often a reflection of clothing styles and trends that originate on the streets. The city itself is able to inspire designers too. Rotterdam is not only an inspirition for architects, photographers and artists, but also for designers of clothing & accessories. We have some striking examples for you, in which our hometown is leaving its marks on designs. Nultien clothes often show images of famous Rotterdam symbols like the Euromast and the Erasmus Bridge. 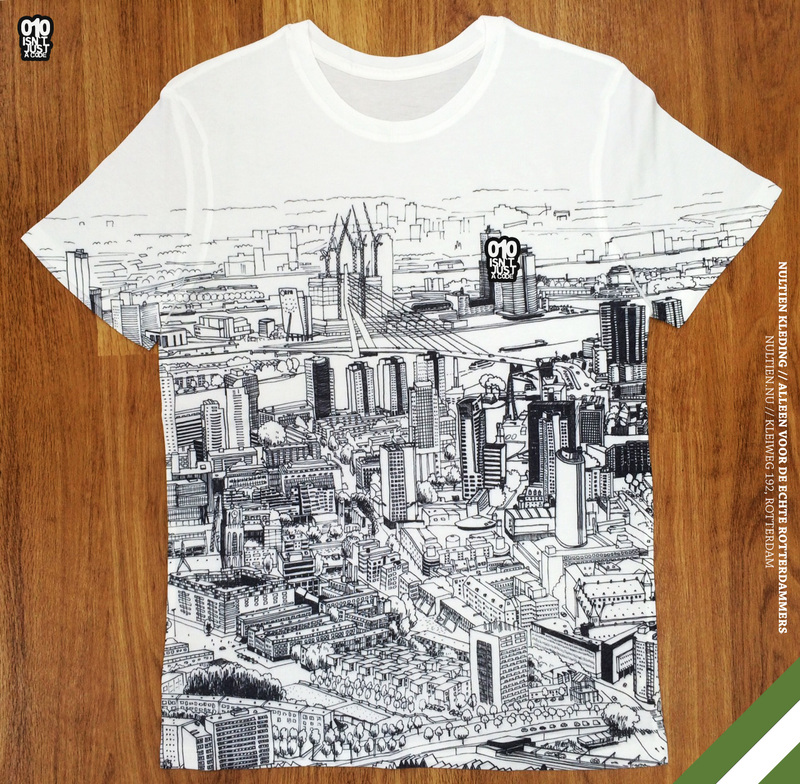 In collaboration with artists collective ‘Ik Rotterdam’ they recently designed a unique skyline t-shirt. Released in a limited edition of only 50 pieces it was sold out in just a few seconds. If you are a real proud Rotterdam citizen, express it! How? By wearing local designs. That’s the motto of 010 CASUALS. They developed a clothing line for locals, made by locals. Their collection consists of t-shirts, polo shirts, sweaters, shirts and more, with various prints and applications, all made in Rotterdam. The 010 CASUALS collection is divided into two lines. A sporty Streetwear Collection with great striking prints and a casual Classic Collection with beautiful embroideries and details. In Rotterdam you will find several tattoo shops. 010 tattoo is one of them, runned by Budsco, who is specialized in chicano, old skool, realistic & caligraphy tattoos. As a former graffiti artist, he evolved his artist skills into needle and ink art work. Tattooing is his true passion, his way of life. Budsco truly feels at home in Rotterdam, not only because he grew up here, but also because of the ‘no-nonsense’ mentality. 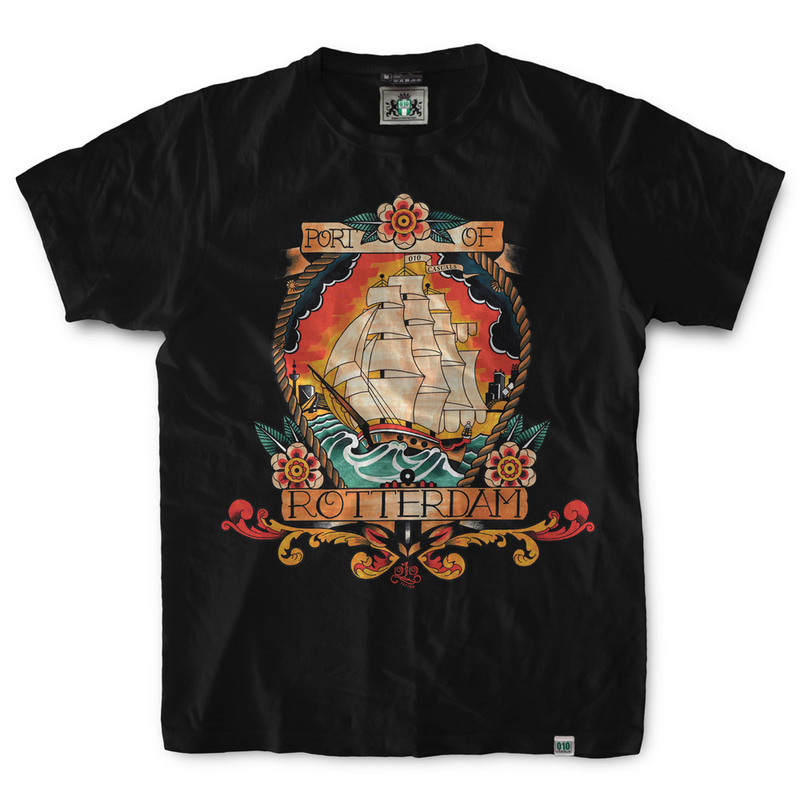 With an inexhaustible creativity and his love for our common city, he designed some nice tattoo T’s. A city is more than just a place to work and live in. It is both activity and rest, memories and opportunities. But it is also a graphic structure, a pattern. 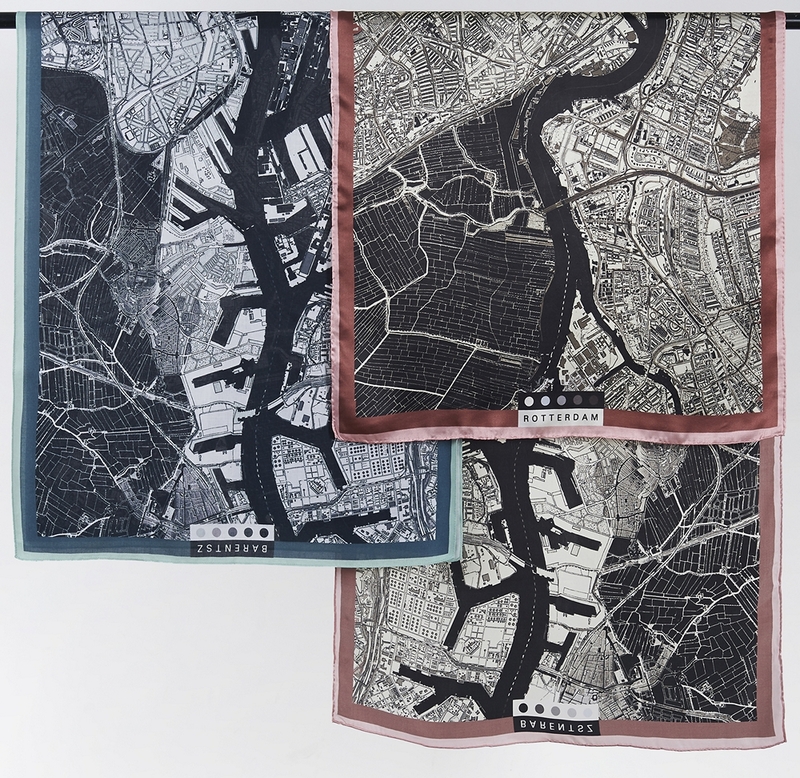 That’s why urban designer Marjolein Peters and visual artist Miriam Hagoort, together Barentsz Urban Fabric, started designing and manufacturing the Cityscarf: a lifestyle brand for scarves with city maps. Launch of the collection formed a number of designs with Holland and Amsterdam as subjects. Soon they decided to expand the collection with the Rotterdam-scarf. It shows the winding Meuse, combined with graphical city structures. The scarf is manufactured in silk satin or modal (a tree bark based fabric) and comes with a set of pins, that are thematically connected to the city. We can easily conclude, clothing is more than just a convenient covering of the body. Whether it is to dress for business or social occasions, it expresses a part of who you are. 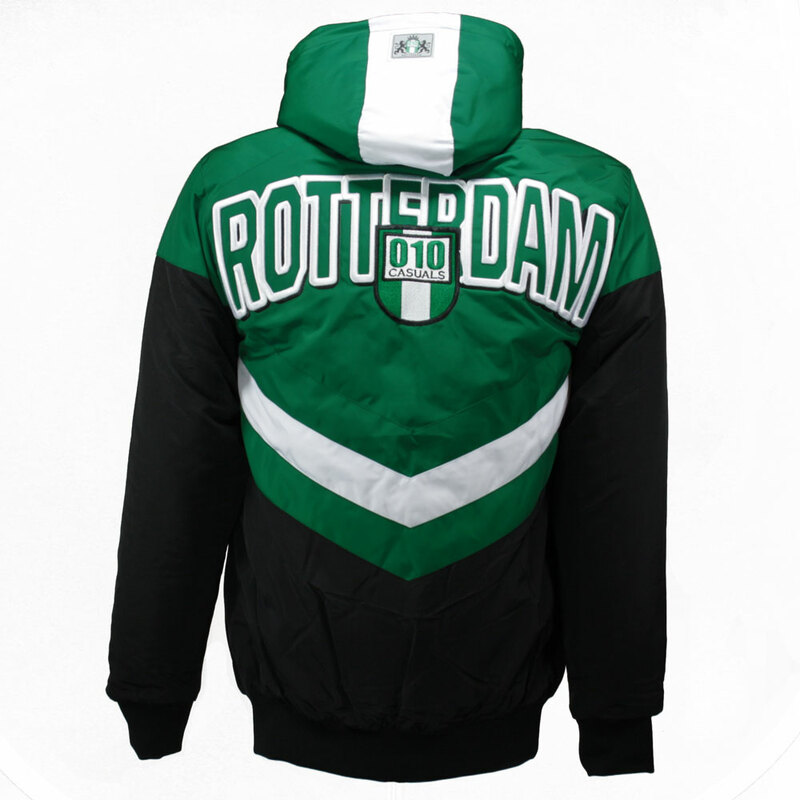 Now you know, Rotterdam has plenty of urban-inspired fashion options to define yourself as a real ‘010’ city personality. Come on, what are you waiting for?